Who wouldn’t love the perfect black bangle that can be worn daily or on a planned night out? 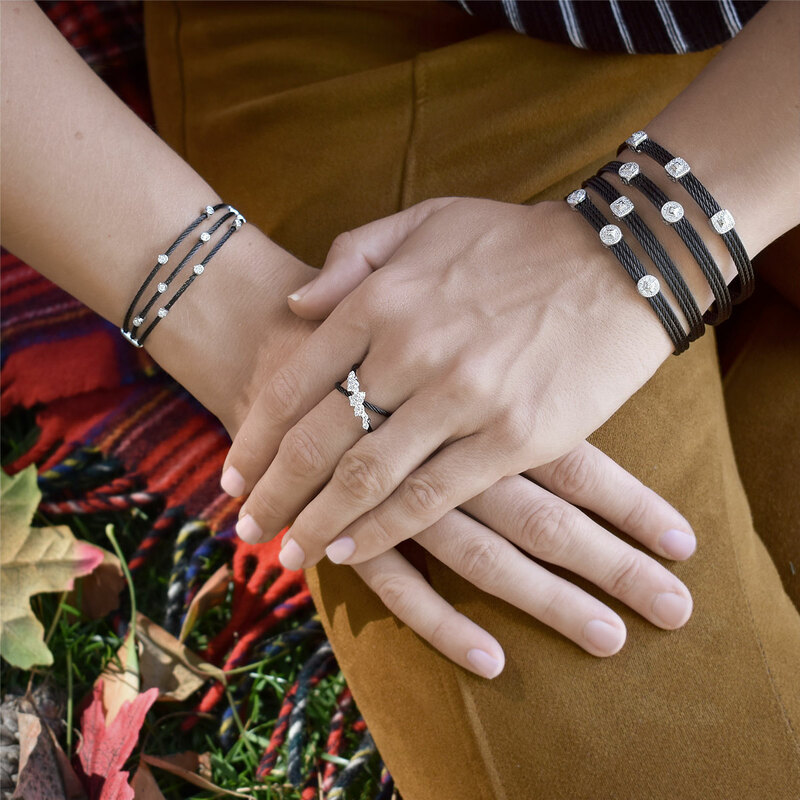 The ALOR Noir Bangle meets all these qualifications with a bit of extra flair. 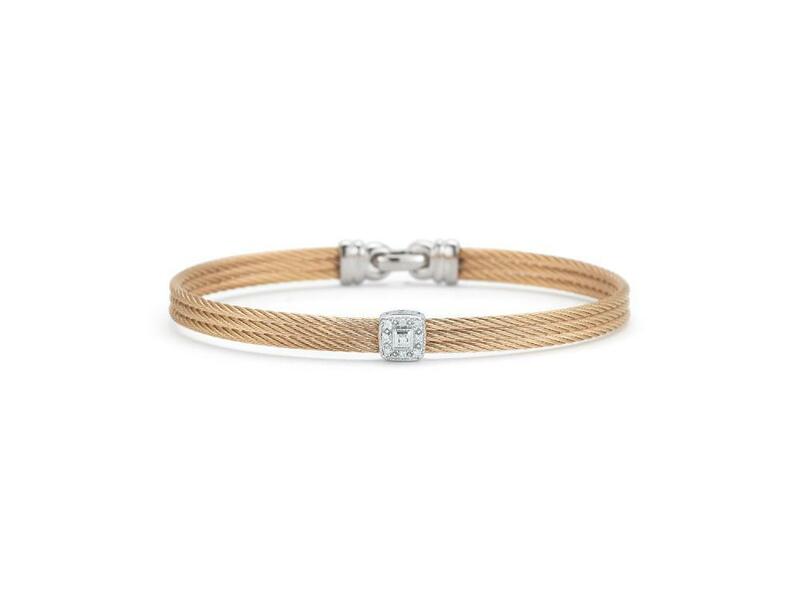 A trio of black cable bangles is beautifully joined with a centered square, diamond studded, white gold station. Available in a variety of sizes to fit your loved one, get this bangle to show how much you love your special lady. The bangles will be a welcomed gift for any special occasion or just because you want to show some love. Black cable 3 row 1.6 mm, 18 karat White Gold, 0.05 total carat weight Diamonds and stainless steel. Imported.